College students rage against a lot of things (including their parents as I have learned) but tend not to channel that energy into exercising their right of franchise. 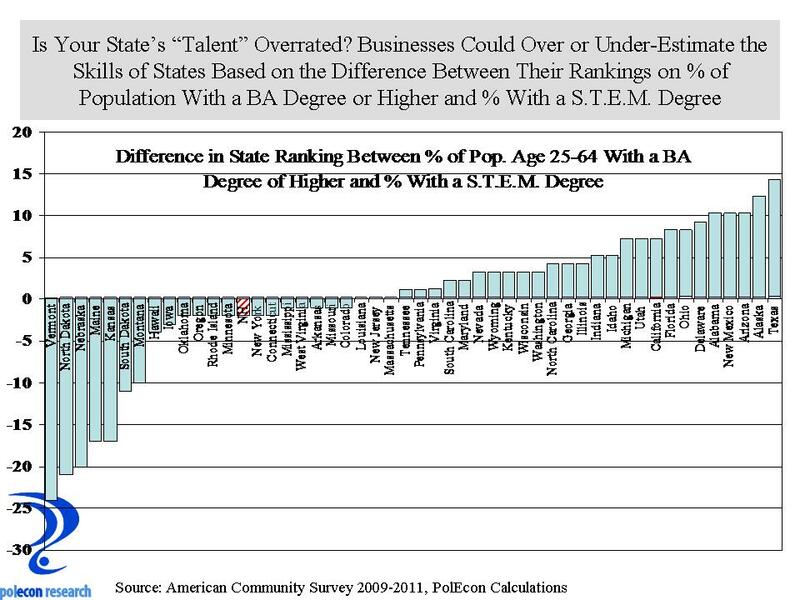 I think that helps explain why, after decades of rapidly rising college costs and levels of student debt, the tipping point on the issue appears to have finally been reached. As I noted in a recent study on student debt, one of the features today that distinguishes debt to pay for higher education from prior periods when the issue bubbled to the surface is how much more of the debt appears to be being borne by parents as well as students. 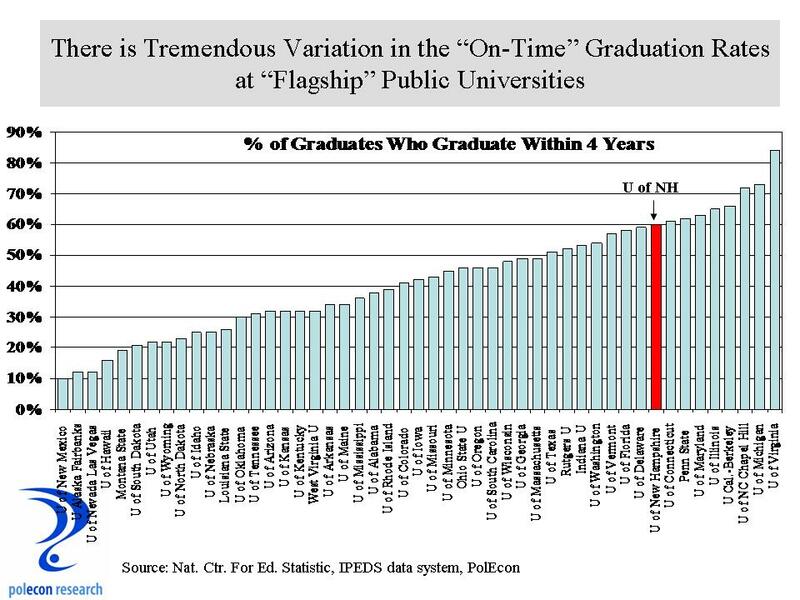 Parent debt is not included in the popularly reported student loan debt by college or by state, but as the chart below shows, along with unsubsidized federal loans to students, federal parent “PLUS Loans” have been the second fastest growing category of student debt. 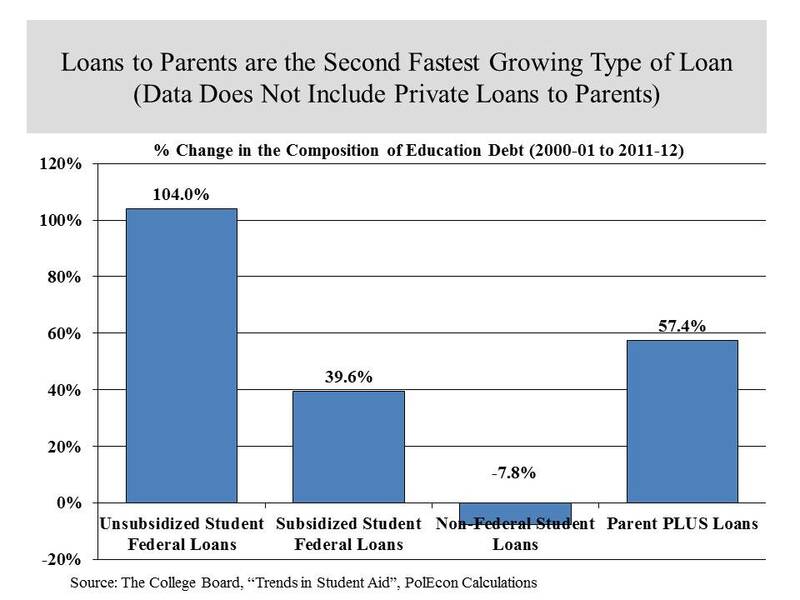 PLUS Loans are still a much smaller category of debt for higher education than are loans to students but there is no data available on the non-federal loans parents have accumulated (such things as home equity loans) to pay for their children’s education so overall parent debt has likely increased even more . 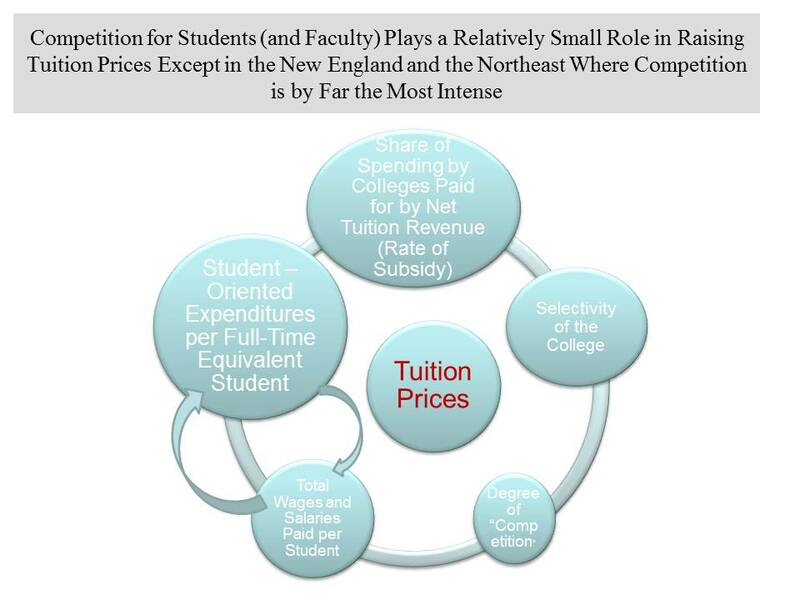 It is much easier to avoid the public debate about debt for higher education when it affects just students than it is to avoid when it affects parents as well ( whom lawmakers are much more likely to respond to as constituents). 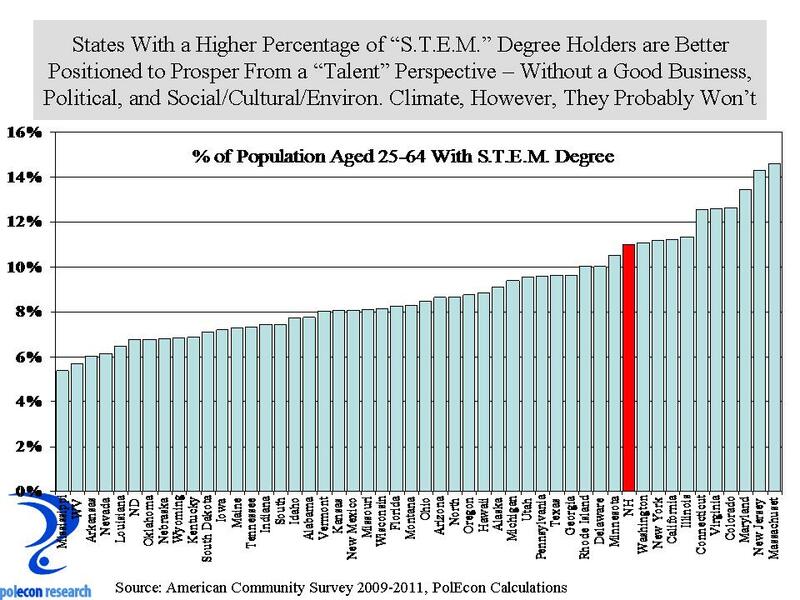 Another troubling aspect of the chart above is the increase in federal unsubsidized student debt. 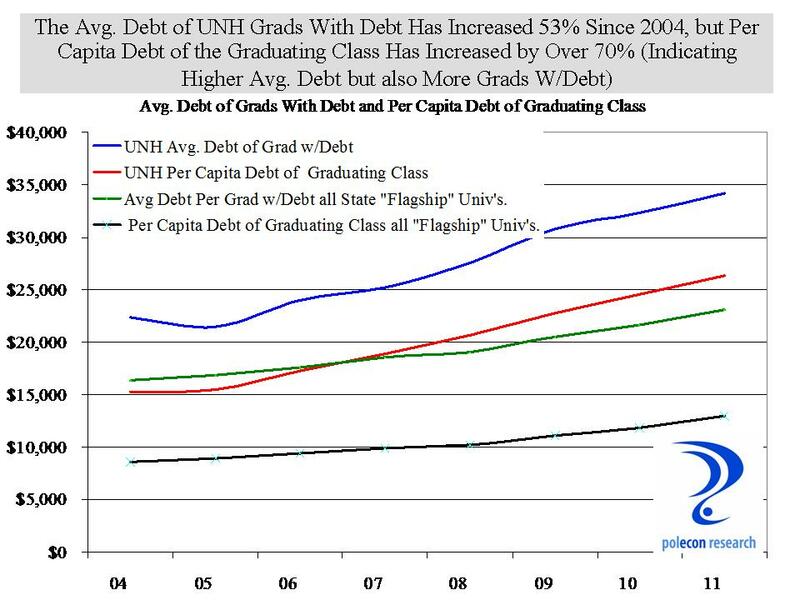 Because the interest on this debt is not paid for by the federal government while a student is in college (unlike subsidized debt), it is more costly, and thus the higher percentage of unsubsidized debt today than a decade ago suggests that student debt levels actually understate the impact on students of the increase in student debt since 2001. Examining data from the Federal Reserve Board’s “Survey of Consumer Finances” highlights how debt for higher education has increased over 20 years as a percentage of household’s non-mortgage debt, with the biggest increases coming since the mid 2000s. 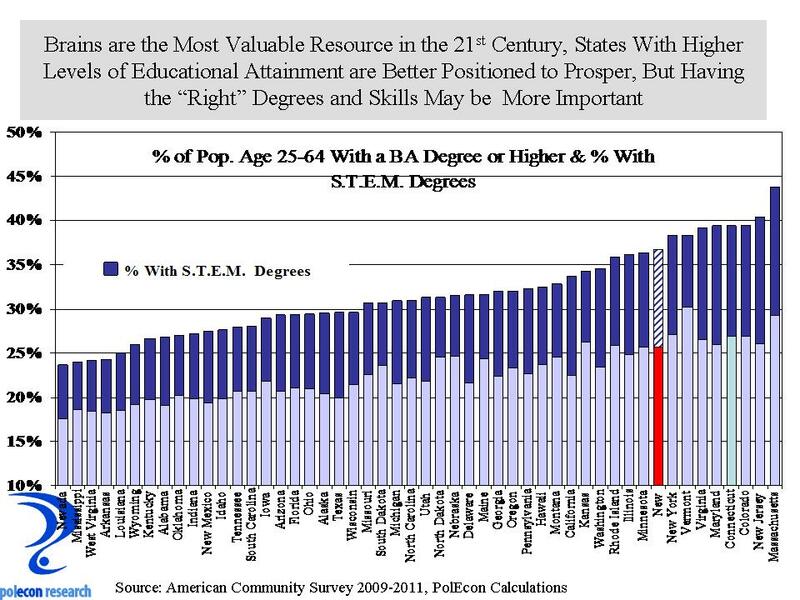 The chart above reflects both parent and student debt. 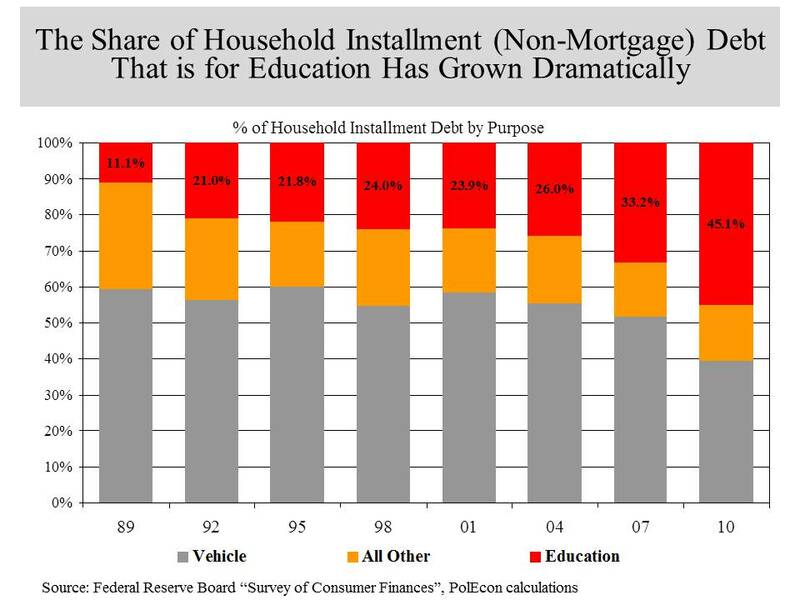 More of household installment debt going to pay for education implies less borrowing (and spending) for other purposes and helps explain (along with generally weaker economic conditions during much of the 2000s) why consumer expenditures on other goods have been relatively weak. The economic implications of student debt are typically seen as constraining recent graduates spending, household formation, home buying, entrepreneurship, etc., but the reality is that student debt is likely constraining more than just recent graduates. I think some evidence of this is seen in the changes in installment debt of households by income (chart below) . As the chart shows, the largest increases in the percentage of installment debt that goes for education are among middle and higher income groups. These are income groups with the most disposable income and anything that constrains them from “disposing” of their income (like repaying debt for higher education) on goods and services that boost economic activity will have detrimental impacts on the economy. Lower income groups have seen significant increases in installment debt for education as well, much of it attributable to increased enrollment rates over the past few decades which have been highest among students from lower-income households. With more students from families with modest incomes attending college, the share of installment debt for education among these income groups can be expected to rise. Higher college costs also play a role but increases in financial aid for lower-income students have helped offset some but certainly not all of those cost increases. In no way do I want to minimize the impact of college costs and debt on lower-income students and households but that has been a fairly consistent problem that does not distinguish the current situation from the past the way changes in debt among higher income groups appears to have changed. 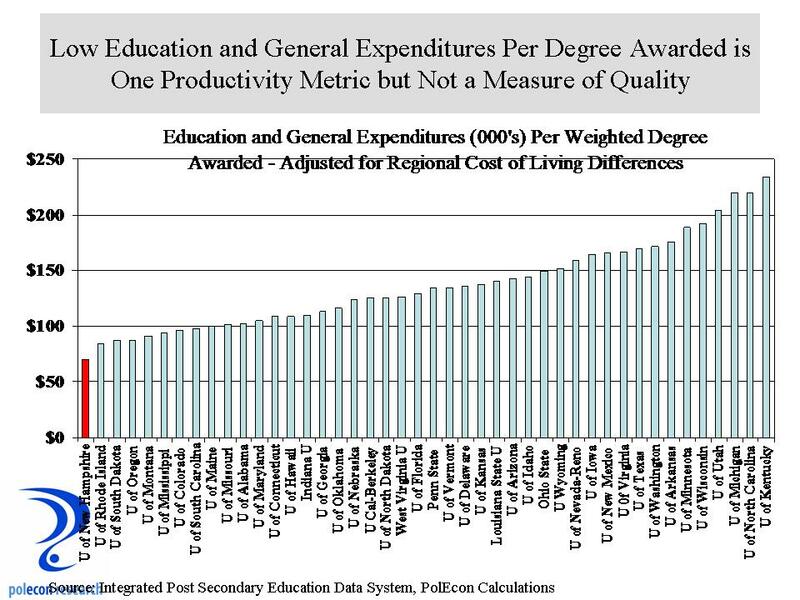 The large increase in the percentage of installment debt that goes to education among middle and higher income groups reflects economic conditions (savings for education dropped the most among these income groups over the past decade) but also financial aid policies and practices of governments and colleges that appear to especially squeeze middle-income households. The rapidly rising debt for education held by parents and households, not just students, I think explains a lot about the new urgency to address college costs and student debt. The fact that middle and higher income groups seem more affected by these pressures than in the past may say even more about why the issue has risen on the public agenda. 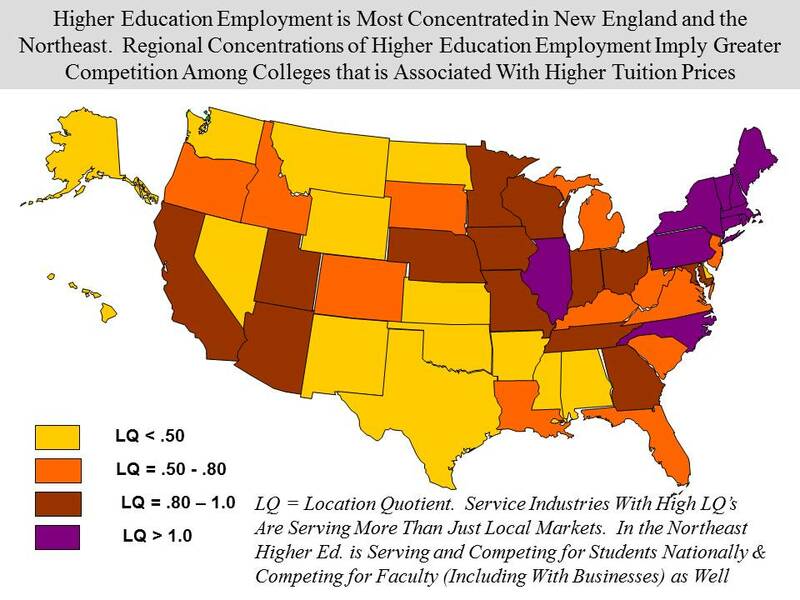 Beyond the political, when the households that typically have the most disposable income appear to be especially affected by higher education debt, we should not discount the role debt for higher education may be playing in constraining economic activity in the U.S.